On May 16th, the Equal Employment Opportunity Commission (EEOC) released final regulations designed to reconcile contradictory rules for employers related to employee wellness programs and non-discrimination laws. An EEOC summary of the final regulations is available here, and you can find the final rules here and other commentary and coverage here, here, and here. The Americans with Disabilities Act (ADA) and the Genetic Information Nondiscrimination Act (GINA) include clear restrictions on an employer’s ability to collect and use employee health information. Just ask the Missouri employer who found out the hard way that it should not have required applicants to fill out a three-page health history form before it processed applications. The ADA prohibits employers from “conduct[ing] a medical examination or mak[ing] inquiries… as to whether [an applicant] is an individual with a disability or as to the nature or severity of such disability.” In turn, GINA prohibits employers from “request[ing]… genetic information with respect to an employee [including job applicants] or a family member,” with certain very limited exceptions. When sued by the EEOC, the Missouri employer was forced to concede its loss early on when the Missouri federal court (which is in the same federal circuit as Minnesota) issued a June 8th Order and Consent Judgment holding that the employer’s request for applicants to provide their medical history over the past ten years clearly violated ADA and GINA prohibitions. On top of ADA and GINA considerations, the growing cost and complexity of health care has created additional obligations and some legal contradictions. Under the Affordable Care Act (ACA), employers are encouraged to offer incentives (or create potential financial penalties) related to employee participation in employer-sponsored wellness programs. However, after passage of the ACA, the EEOC sued several employers for the same wellness programs that the ACA had encouraged. The EEOC’s issue is that the wellness plans sometimes asked for medical information in violation of the ADA or GINA or failed to consider reasonable accommodation obligations under the ADA for disabled emlpoyees. The EEOC’s final regulations are an attempt to reconcile some of these contradictions, clarifying what is required to ensure a wellness program is “voluntary” and what information an employer may collect and use (to make a wellness program useful) without running afoul of GINA and the ADA. As more and more employers focus on wellness due to federal policy and increasing costs, it is critical for employers to review the EEOC’s final regulations. 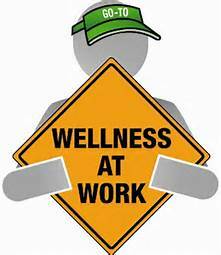 Employers need to take care to ensure that their wellness programs are effective without running afoul of GINA and the ADA’s prohibitions.